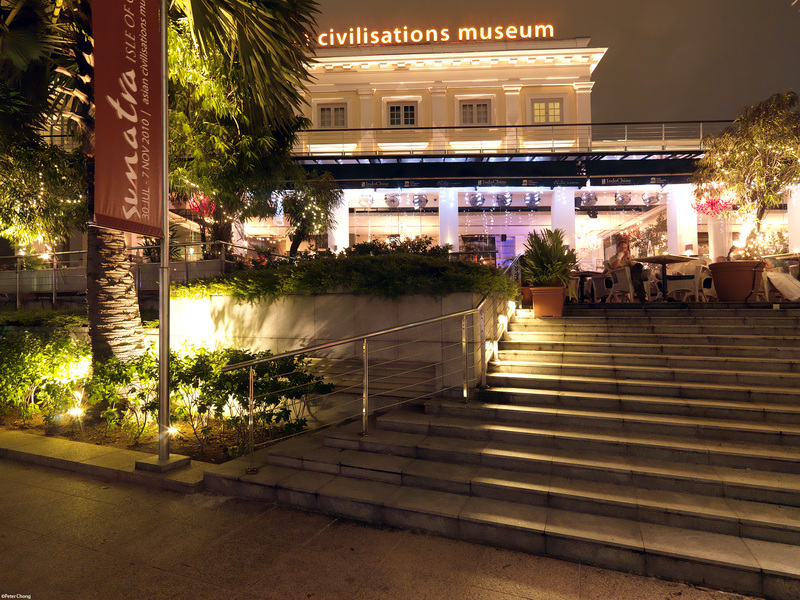 And the Asian Civilizations Museum, housing Indochine fine dining at the ground level. 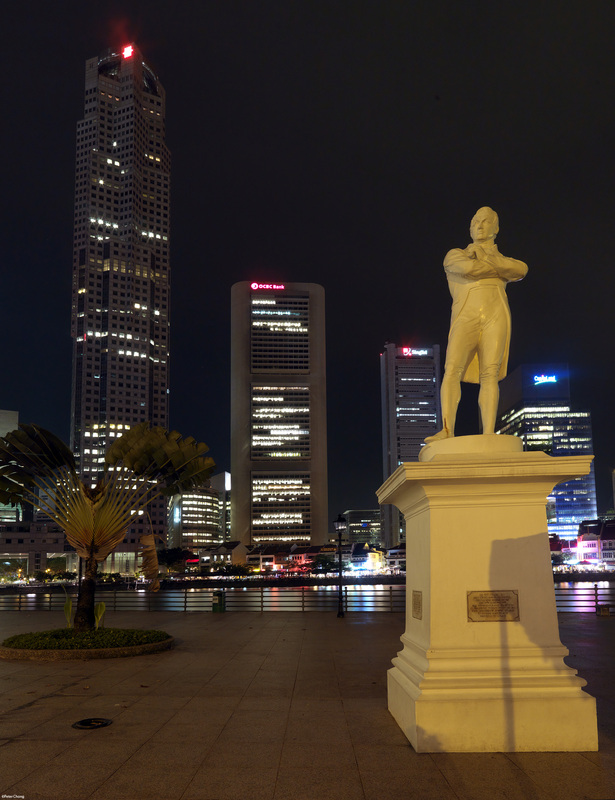 And finally, we reach the Fullerton Hotel. 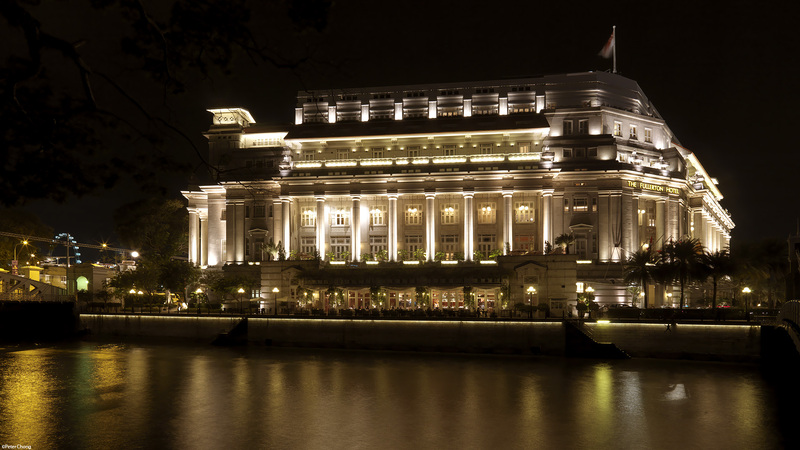 Formerly the General Post Office Building...housing the Post Office and the Inland Revenue Department. Intentionally white balanced for flourescent to show the building in its original color as the eye sees it.